Lock in a great price for Brit Hotel Confort Foix – rated 8.1 by recent guests! A great approach to budget lodging. Surprisingly spacious bathroom with space to put toiletries and large shower stall. Attractive room decor for a budget property. Hot and noisy. Decor 1960's. Could not have breakfast until 8:00 am. Why? the room was clean, the stuff was helpful, even though we had a situation at the check-in when our reservation wasn't found. Quite hotel with adequate facilities for a one night stay. Room was quite small but very clean. Suitable for 2or 3days stay. Staff friendly and efficient and very welcoming. Breakfast fine. I would give it 9 out of 10. Very clean comfortable room with good lighting. Walk in spacious shower. Extremely good breakfast with loads of choice and some really nice home made cake and brioche! Friendly reception. Good location, staff really helpful.we will be back. Having worked my way down through France on my bike again, I sought this place out again. It’s a great place to stay and stopover before you start heading up into the Pyrenees proper. Clean, comfortable and friendly staff, with a bar and grill just around the corner. All you need to rest and refuel for the forthcoming days riding! Recommended for bikers! 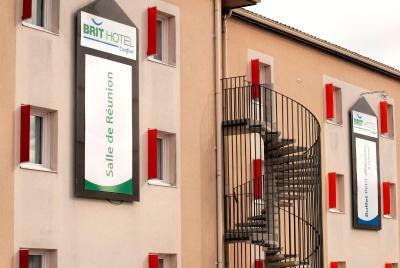 Brit Hotel Confort Foix is ideally located at the foot of the Pyrénées Mountains and offers well-equipped rooms designed for ultimate comfort with private bathrooms and free WiFi access. 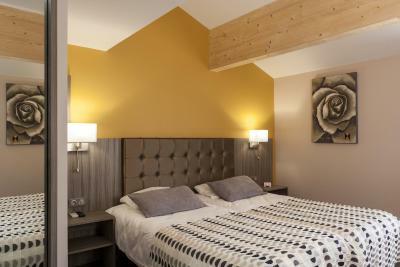 The hotel is perfectly located for exploring the Ariège region and makes a peaceful stopover for guests traveling around the Midi-Pyrénées region. On week days, evening meals are available. Guests at Brit Hotel Confort Foix benefit from free private parking. The hotel is located 19 mi from the ski resorts and 43 mi from Andorra. The friendly and attentive staff at the Brit Hotel Confort Foix will be happy to help you organize your stay. 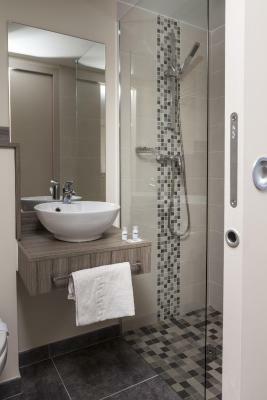 When would you like to stay at Brit Hotel Confort Foix? This air-conditioned room offers free Wi-Fi and a flat-screen TV. 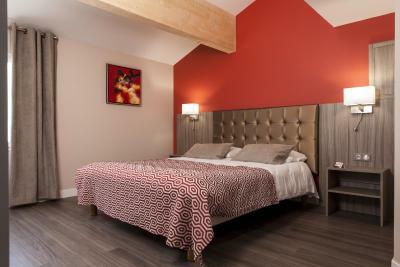 Triple room equipped with 3 single beds. 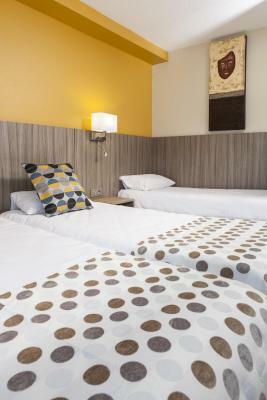 This air-conditioned room offers free Wi-Fi and a flat-screen TV as well as 2 small single beds. House Rules Brit Hotel Confort Foix takes special requests – add in the next step! Brit Hotel Confort Foix accepts these cards and reserves the right to temporarily hold an amount prior to arrival. The reception is open until 22:00. On Sunday it is closed between 12:00 and 17:00. Please contact the hotel in advance if you plan to arrive outside of these opening hours. If you arrive after 22:00, an additional cost will be charged to your account. Please note that on week days, breakfast is served from 7:00 to 9:30. A shuttle service to city center and the railroad station is available from Monday to Saturday at an extra cost of EUR 0.85. Ma chamber ,207 a un poinge casse ..impossible pour fermature . north of Foix. convenient to visit Foix or go further north to Toulouse. Has own parking lot. Room is small but clean. We stayed here two separate nights. On the first night we had a room at the front which faced a fairly busy road. On request, the management willingly moved us to a room at the back for our second stay, which was peaceful, quiet, and altogether very pleasant. Would recommend you ask for a room at the back if possible. The management and staff make this hotel out of the ordinary. All were charming, helpful, and very very friendly. The rooms were comfortable and had every convenience, including complimentary bottles of water, and a hair dryer - not often found in French hotels. Wifi was good too. And it's outside the busy town of Foix, easy to find, and with excellent access. Stay here often, always clean, staff always helpful. Exceptional customer service, friendly, helpful and with a real 'can do' attitude. Location is convenient for Foix. Good quality everything for the price. Staff helpful, internet ok after initial short term problem. We did not realize how far from town it was. drinks in bar area very expensive and no alternative. Bed was very comfy pillows were the best. coffee machine in reception, lovely Buffalo Grill just next door.